Carnival Cruise Line is changing several ship itineraries due to the threat of Hurricane Maria. 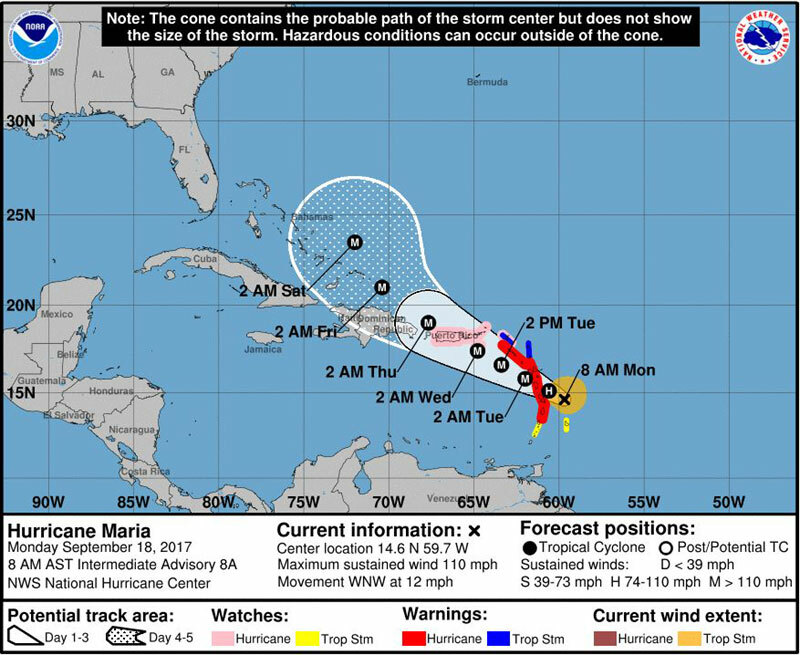 Another Hurricane named Maria is forcing Carnival to change ship itineraries as it moves west across the Caribbean. Maria is expected to become major Hurricane over the coming days and will hit those Eastern Caribbean islands already devastated by Hurricane Irma over a week ago. Please take a look at the affected Carnival cruise ship itineraries due to Hurricane Maria. There could be even more changes as the powerful storm heads further across the Caribbean. Departed on Saturday and will now operate a cruise to Ocho Rios, Grand Cayman, Roatan and Cozumel. Departed on Saturday and will now operate a cruise to Amber Cove, Montego Bay, Grand Cayman and Cozumel. Departing on Sunday and will now operate a cruise to Grenada, Barbados, St. Lucia, Antigua and St. Kitts. Departing Miami for a 4-day cruise to Cozumel. Carnival Cruise Line does have more ships based in the region than any other cruise line. 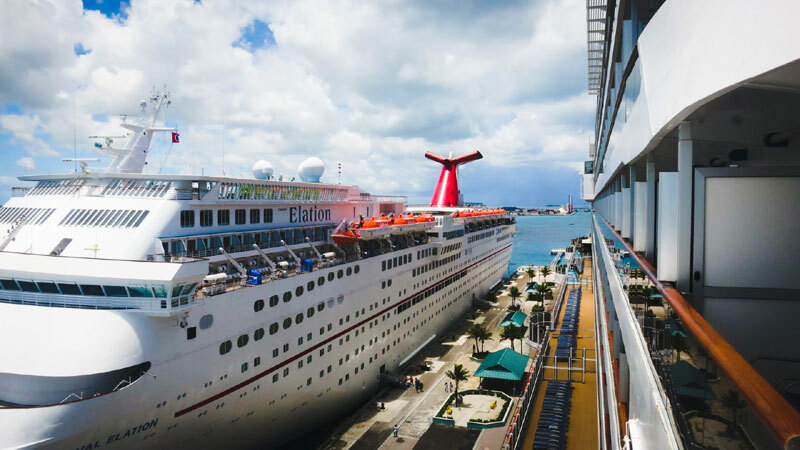 So far, Carnival Glory, Carnival Magic, and Carnival Fascination will be sailing to alternative ports of calls. We thought it would also be handy to include Carnival Victory which is still impacted by Hurricane Irma. Pre-purchased Carnival Adventures for cancelled ports, as well as any taxes, fees and port expenses will be refunded to your onboard Sail & Sign account. We sincerely apologize for the disruption these storms have caused and trust our guests will enjoy these alternate ports of calls. Hurricane Maria is currently a category 2 storm but the National Hurricane Center expects this to change throughout the day. Maria has maximum sustained winds of 110 MPH and increasing. The Hurricane is heading west-northwest at 12 MPH. Maria is expected to hit some Eastern Caribbean islands already destroyed by Irma. This is extremely worrying and could cause even more destruction in its path. There are Hurricane watches in effect for the popular cruise destinations of St. Maarten, St. Thomas, Purto Rico. The entire U.S. Virgin Islands and the British Virgin Islands are also under Hurricane watch. Cruise Hive will continue to monitor Hurricane Maria, let’s just hope she stays away from all these stunning Caribbean islands.